My husband and I are going to live in Syracuse, NY for about 2 years. Suddenly many things pop out to be concerned and before I recognize, it turns out to be almost late. I think it’s time to write down anything as a note to self. PS: general things such as ticket, passport, visa, immunizations are not considered crucial in this list. They surely are TOP PRIORITY. I assume there are MANY things you left in your home country. Property, jewelry, safe deposit box, motorcycle, car, you name it! I don’t know how it works in your country, but in Indonesia, some of private and business affairs need a written statement that you authorize the right to do any legal action on behalf of your name. I and my husband have our own apartments. Those apartments currently are rented and we never know whether there’s issue happen in the next years (tax, bill, maintenance charge, rental fees and so on). I have many accounts (DPLK, Safe Deposit Box) that paid by auto debit my saving account. Sure I can’t let my accounts to be terminated due to the system failure to deduct my account. This is still related on point no. 3. I bet you still need doing any transactions while living overseas. Transfer to your mom, buy a gift via online shop for your sister, and purchase a voucher for your Indonesian telephone number and so on. Make sure that you bring your internet banking token so you won’t miss any access to your own money. How many credit card do you own? One? Two? More than three? Please do remember to check your validity period of credit card(s). Make sure it will not be deactivated during your living abroad period. Mine is dated 11/12 while I will go on 08/12. 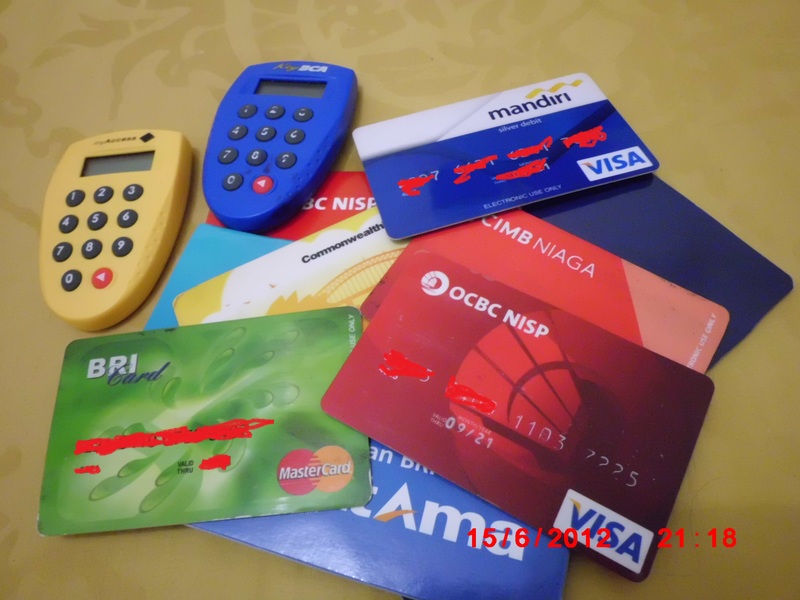 I ask my bank whether my card can be issued / renewed before I leave Indonesia. Indonesian plug is different from American. I write down this as priority since my gadgets didn’t come with US adapter. How will I charge my iPod, iPad and Blackberry? Congratulation, you have an opportunity which only a few people in Indonesia have, living at US. BTW, I am using tokens for internet banking so often, I’m worry if the token run out the battery. I think better for me to change those tokens with the new one before I go. However I don’t know how long the battery’s life time is, perhaps I have to leave those tokens at Indonesia and give them to my family whom we trust to make transactions on behalf of me. And refer to your first point, I have to write a statement to make it legal, including to change the tokens if they are broken or run out the battery (but I don’t know whether it is allowed). ’bout the second one, i intend to write about that on my next post.